Vibrant blue murano glass with bubble detail creates this psychedelic glass bead. 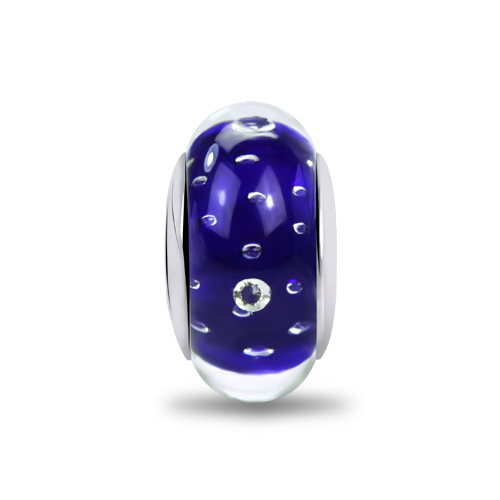 It is features clouds of white and royal blue,wraps around a 925 sterling silver core.Let the crystal clear bubbles in this deep blue glass bead breathe life into your bracelet. This charm will add new dimension to your charm collection.